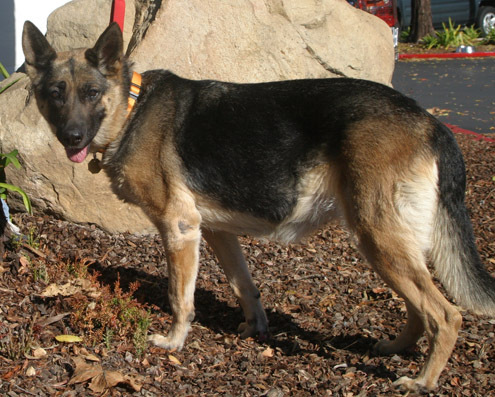 Everyone in German Shepherd Rescue of Northern California knows Brigitte as one of the most dedicated volunteers in the entire organization. At one time or another, she has held just about every position and job in Rescue. 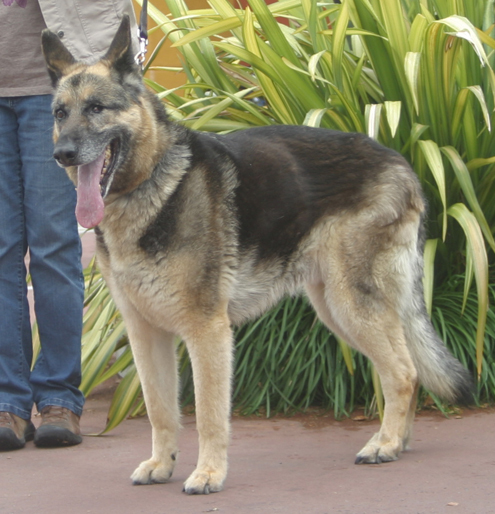 She has probably fostered over a hundred German Shepherds during her time with GSRNC. What you may not know is that throughout the last few years, Brigitte has been a very active foster mom for Thulani Program dogs—those special needs dogs with not a lot of life left to them. Brigitte began fostering Thulani dogs from nearly the inception of the program, and over the past four years has provided a warm loving home for four of these deserving creatures. Sammi, Kiska, Mazenda, and George T. all experienced the good life at Donner Haus. And as so often is the case, they each gave back tons of love and joy in return for a warm place to live. The pictures attached need no words to let you understand the happy life they were given. 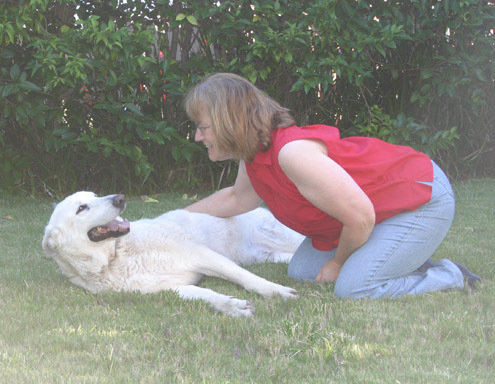 And Brigitte is always there to sing the praises of the Tulani Program and to offer a home for next Thulani dog. 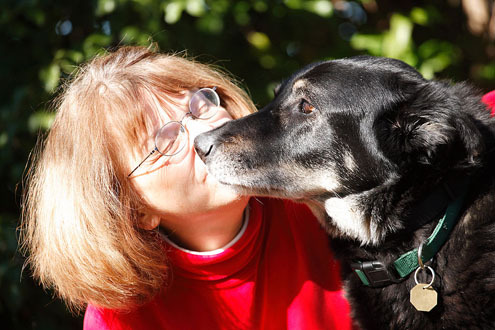 So the next time you see Brigitte, give her a hug and thank her for being a hero to so many deserving dogs. This entry was posted by admin on January 7, 2013 at 5:33 am, and is filed under Recent News. Follow any responses to this post through RSS 2.0. You can leave a response or trackback from your own site. Brigitte’s selfless devotion to the dogs is truly inspiring. Thank you Brigitte for all you do.